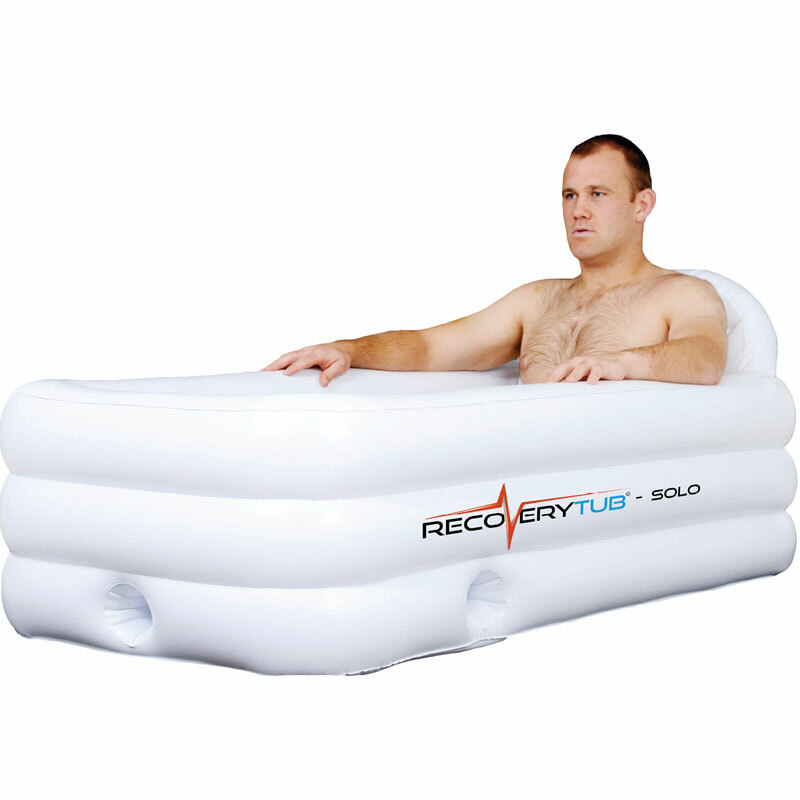 The Inflatable Ice Bath - Solo is both great value and also very portable. The small inflatable ice bath is suitable for individual sports men and women and is ideal for different training venues and away fixtures. The benifits of having an ice bath soon after exercise have been well known and documented for some time, the single inflatable ice bath is both great value and very portable, helping to aid recovery after moderate to intense activity where ever you are. Cold therapy speeds muscle recovery and lactic acid removal after training and competition. Cold water also benefits immediate injury treatment and long term rehabilitation. The portable design of our Inflatable Ice Baths allows sports people to enjoy cold therapy treatment anywhere, anytime. Ice Baths are quick and easy to inflate, fill and deflate making them totally portable. It will take as little as 5 minutes to fully inflate if using an electric of battery powered air pump. It will take 10-15 minutes to fill the bath. Simply add ice to lower the temperature. Supplied with a carry bag for easy transport to any venue. Outer measurements: 88cm wide x 152cm long x 43cm high. Inner measurements: 55cm wide x 132cm long x 43cm high. The inflatable ice bath is currently used by many football teams including 10 in the football premiership. Now introduced to rugby and endorsed by leading rugby premiership teams.